From American alternative rock band, The Verve Pipe, The Freshmen chronicles the guilt felt by guitarist and lead singer Brian Vander Ark over the suicide of an ex girlfriend. Ark later admitted the suicide was poetic license and the real incident that inspired the song was abortion his girlfriend had had. The Freshmen was actually first recorded in 1992. It was re-recorded and finally released in 1997, becoming The Verve Pipe’s breakthrough and best known single. The Freshmen was off their debut album (for a major label), Villains. The song hit the top of Billboard’s Alternative Songs chart and #5 on the Hot 100 and went to #6 in Canada. Elsewhere it peaked at #28 in Australia and #71 in the Netherlands. It was the dawn of cinema and the (often considered) very first horror movie ever made was Le Manior du diable. It’s opening shot? A giant bat hovering in a gothic castle. Within seconds, the bat transforms into the figure of Mephistopheles (played by director Georges Melies) who summons a cauldron and an assistant. The 3-minute film was all about camera editing tricks and for such early work, it’s an adorable — I mean, terrifying — watch. 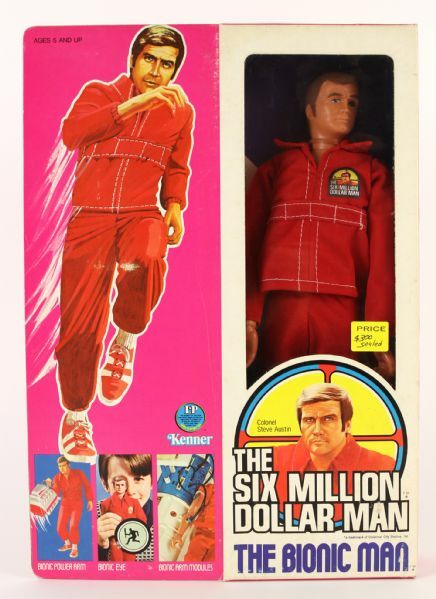 The Six Million Dollar Man was an American television series about a fictional cyborg that worked for the Office of Scientific Intelligence. It was based off the novel Cyborg by Martin Caidin. Three television movies were aired in 1973, followed by a regular series on ABC from 1974 to 1978. Actor Lee Majors played Steve Austin and became a pop culture icon in the 1970s. A spin off series, The Bionic Woman was then produced. Kenner signed on to produce the toys and began distribution in 1975. It became one of the most popular action figure lines of all time. Numerous versions were produced as well as the Bionic Woman action figures. Okay, okay, I know denim is not a fad. The love of denim continues to last — in 2006, over $15 billion (yes that’s with a B) was spent on denim. Denim production has been outsourced to China (surprise surprise), specifically the city of Xintang, which itself makes around 200 million pairs of jeans every year. One major problem with this is the run off of bleach and indigo dye is literally turning China’s Pearl River, a 1500-mile waterway blue. The Pearl River supplies drinking water to over 12 million people alone in the city of Guangzhou. Not only is it bleach and dye running off into the River, but the runoff also contains several heavy metals, namely lead, mercury, cadmium and selenium. All of these metals by themselves are neurotoxins and/or carcinogens, so combined they are a stew of cancer — literally. 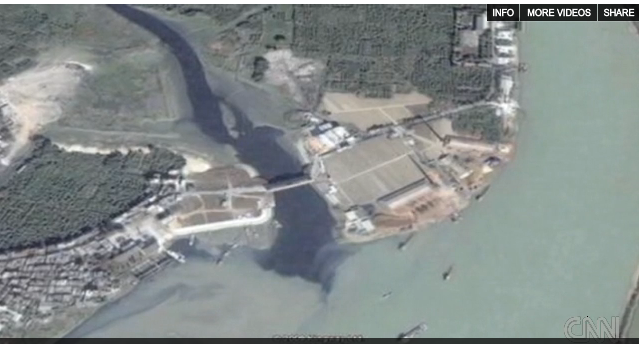 Chinese officials insist there haven’t been any reports of illnesses from the population centers that depend upon the Pearl River for fishing, transportation and even more scary drinking water. Yet? The situation is so bad that, like the Great Wall the country houses, the extremely blue water of the Pearl River can, yep, be seen from space. Scary stuff. Bonnie Lou (born Mary Joan Kath) was an American musical pioneer. She is recognized as one of the first female rock and roll singers and one of the first artists to gain crossover success from country music to rock and roll. 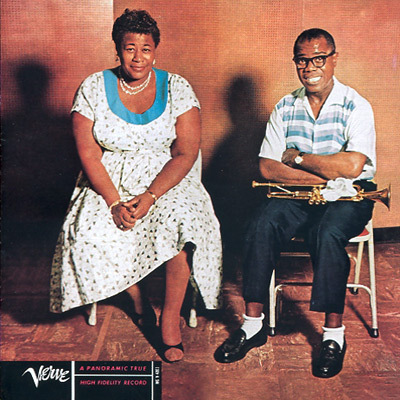 In 1955, Kath released her very first rock and roll record, Daddy-O. It peaked at #14 and turned her into a rock and roll star overnight. Richard Hoon was born in Lafayette, Indiana and started using his middle name to avoid confusion with his father, also named Richard. After high school graduation, Hoon joined a local glam metal band Styff Kytten. He was frontman and lead singer. In 1985, he left Indiana for Los Angeles. By 1990, Blind Melon had formed, had produced a demo tape and signed a recording contract with Capitol Records. He soon befriended his half-sister Anna’s high school friend, Axl Rose (you know of Guns N’Roses?). 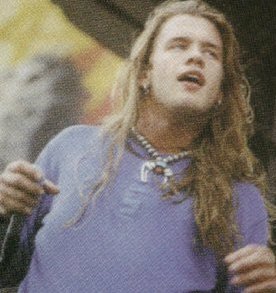 Hoon sang backup vocals on their albums Use Your Illusion 1 and Use Your Illusion II and even appeared in the music video for their single Don’t Cry. In 1992, Blind Melon released their self-titled debut album. They went on tour opening for the likes of (of course) Guns N’Roses, Ozzy Osbourne and Soundgarden. In November 1996, Blind Melon released their final album, Nico, a tribute to Hoon and all proceeds went to Hoon’s daughter Nico and to programs helping musicians deal with drug problems. In September 2008, a book A Devil on One Shoulder and an Angel on the Other: The Story of Shannon Hoon and Blind Melon by Greg Prato was published. Warning: This is not your typical “princess” story! Princess Paulina’s father gave up his throne to become a wood-carver and the princess is struggling for a purpose in life. When she hears that Prince Drupert is seeking a wife, she finds herself in a competition to become his bride. Because the other princesses are more of the traditional princess, Princess Paulina realizes how ridiculous the competition is. After a cooking competition, she invents pizza. What’s a girl to do now? Well Paulina opens a successful pizza restaurant and tells Drupert to take a hike. 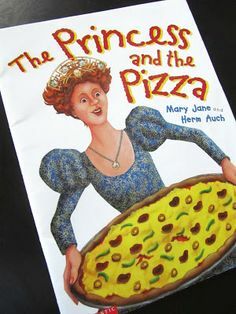 The Princess and the Pizza was written by American children’s author Mary Jane Auch and illustrated by her husband Herm Auch (as all of her books are). Who doesn’t love eating the holes from doughnuts? Life Savers tried to copy the idea and make some more cash on the side. They weren’t actually the middles of Life Savers candies, they were custom creations to resemble middles. 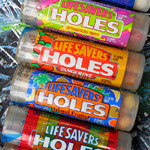 The flavors of the middles were often the same, but described as more “vibrant.” Many of the commercials for Life Saver Holes were created by Pixar, yes, the geniuses behind some of Disney’s best modern day children’s films. (This was before Pixar had a hit with Toy Story when they had the time to take on outside projects before becoming a Disney machine.) The ads presented the middles as “the children” of a regular Life Saver and the “kids” were a bundle of energy! Life Saver Holes may look like a Tic Tac, but they are fatter and chunkier. Kids were head over heels in love. No one knows quite why or when Life Saver Holes died out. The only information I can find is a packaging recall, but that shouldn’t have killed a product completely. Super Dancer is an Indian Hindi kids dance reality television series. Known as Super Dancer — Dance Ka Kal (Ka Kal translating to “future of dance”), the show aims to find a child dance prodigy. The contest is open to children between 4 and 13 that are keen learners, adaptable to all dance styles and circumstances and should be a passionate dancer with a unique personality. After the initial and mega auditions, 12 Super Dancers compete the be selected the Dance Ka Kal. Each child is paired with a choreographer (Super Guru). The kids perform by themselves on Saturdays evenings and alongside their choreographers on Sundays. The audience vote via the show’s website or the SonyLiv app and one child is eliminated each week. Super Dancer is currently in its second season. The winner for season one was Ditya Sagar Bhande from Mumbai.